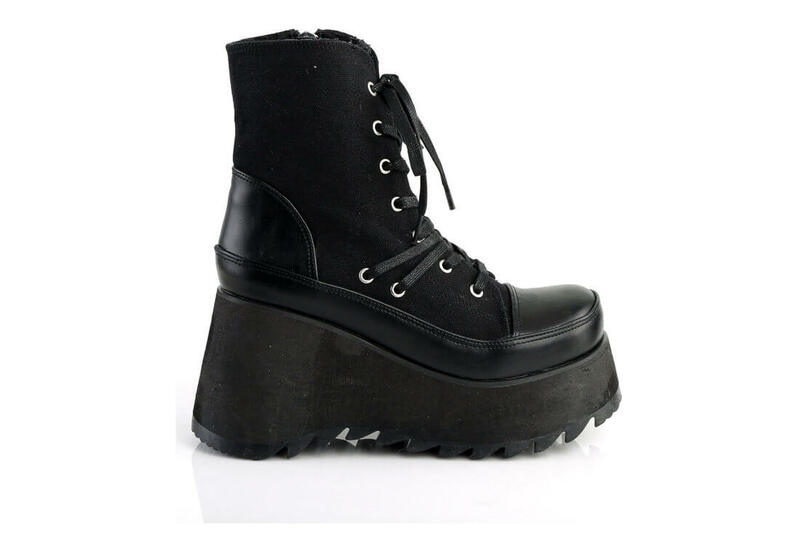 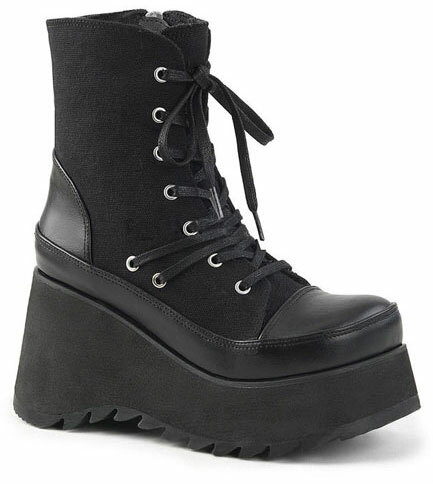 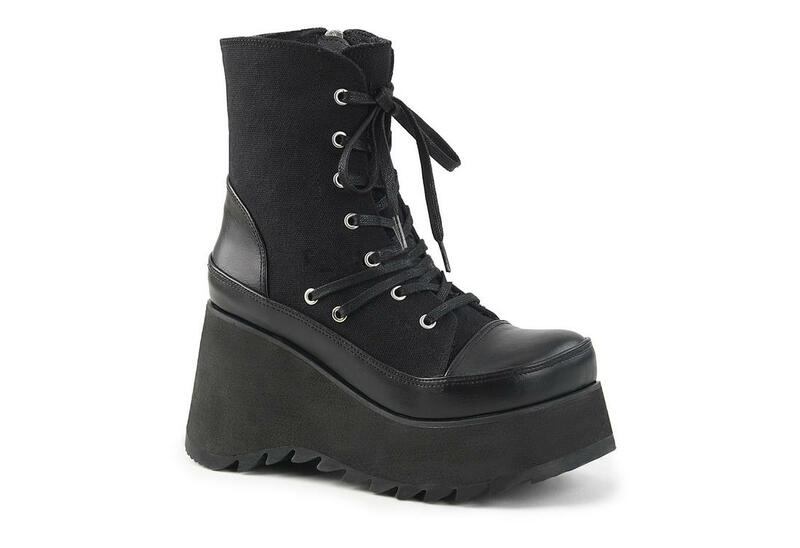 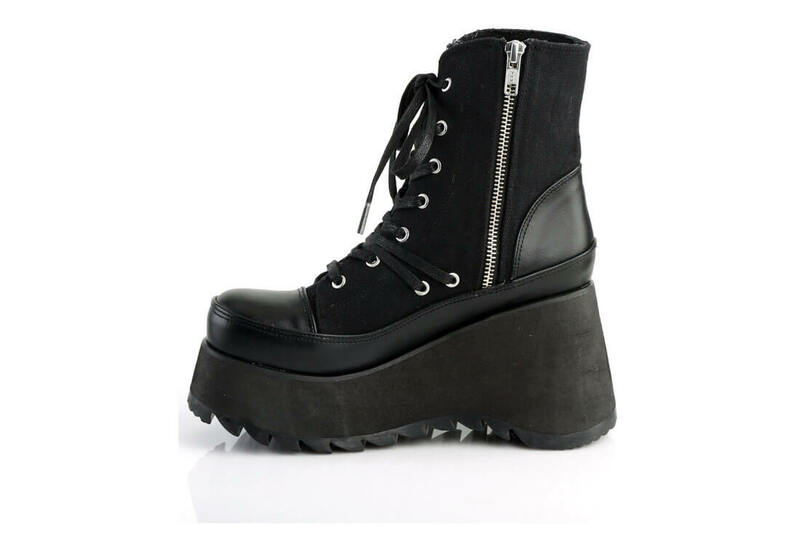 The Scene-50 is a canvas platform boot with a 3 1/2 inch platform. 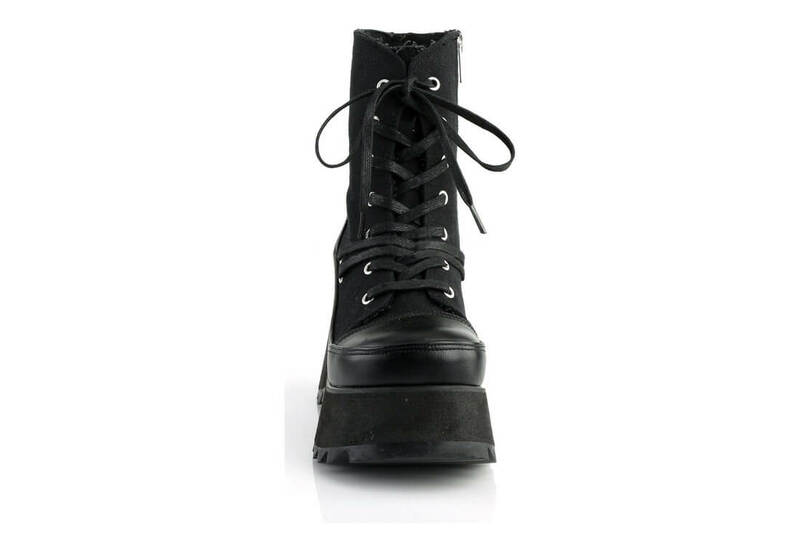 This ankle high boot laces up on the front and has a full inner zipper. 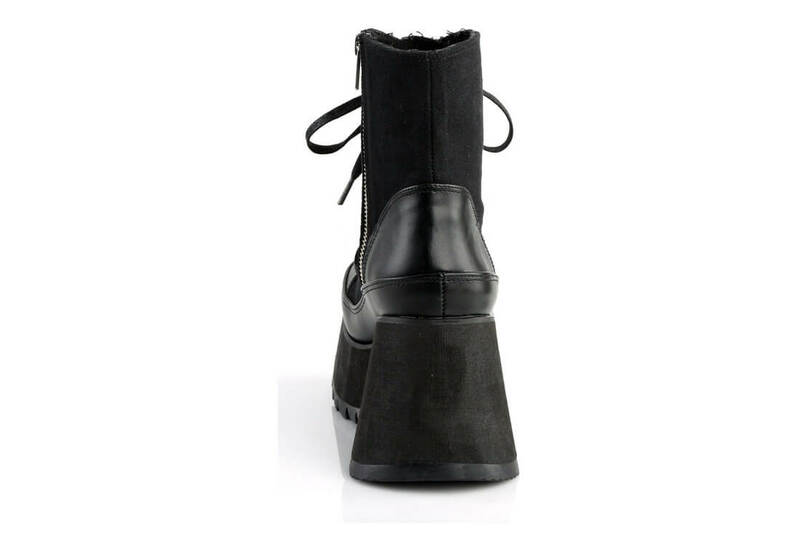 The leather toe and heel are made from vegan leather.